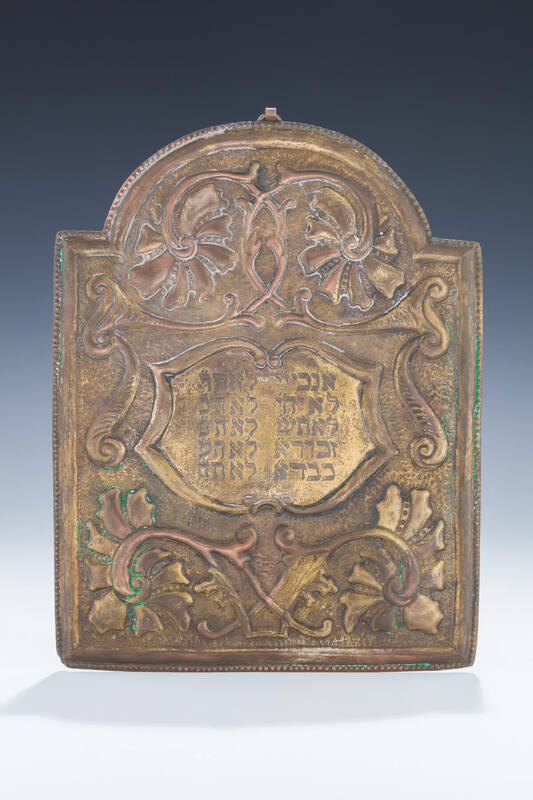 A TORAH SHIELD. Eastern Europe, 19th century. Hand chased with rocaille design. Center cartouche engraved with the Ten Commandments. 10.5” tall.